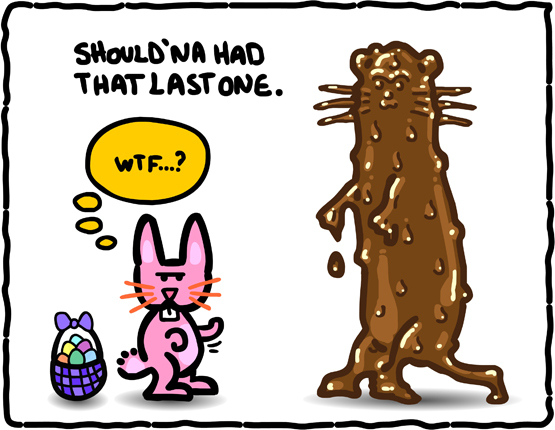 The Animated Woman: The Easter PICKLE Weasel. ...maybe a little too much. Happy Easter from Passover-land, aka Ugh I Ate Too Much Matzoh How Many More Days Until I Can Eat Bread Again-ville. Hum, never tried a chocolate covered pickle - may have to!